We shiver with goosebumps whenever we hear the word cockroaches. These little creatures are not one you want to be near. Whenever we see one, we shun away from them because they not only look scary, they look disgusting as well. We just can not stand being near one. However, a woman in Thailand took being around cockroaches to a whole new level. A Thai woman in Chonburi, Thailand, capture the horrific moment where she slurped noodles on a street side stall as cockroaches crawled on a wall beside her table. And it is not one or two cockroaches. Countless of them crawled on the wall. Give it to Facebook user Kapong Pang who carve through possible one of the worse dining experience ever! She was also praised by netizens for her “bravery” to have lived and told the tale of eating while surrounded by countless cockroaches. And, it is not only cockroaches, but rats and centipedes surrounded the shop that rainy afternoon. As she was eating her delicious noodles, an army of cockroaches, centipedes and rats crawled out of the drain. Although she was disgusted by the sight, she stayed and continued eating as she was hungry. Even though she described the dining experience as the ‘most fucked up dining experience’, she finished her noodles! Many people would cringe with disgust at the sight of cockroaches, let alone eat beside them. 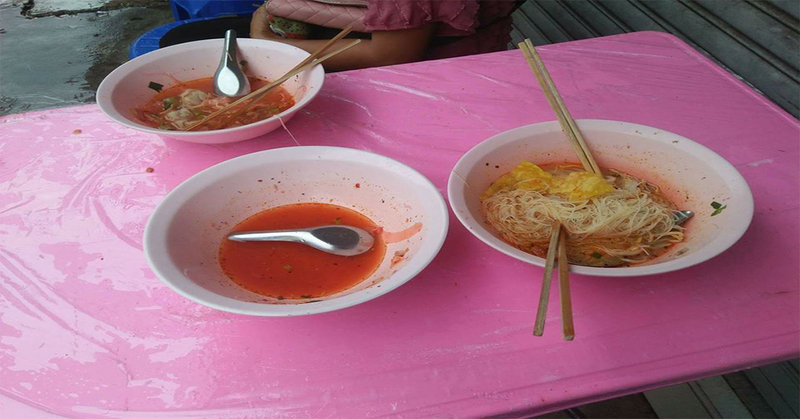 The photos were reported taken at Chonburi’s Phanat Nikhom Market. The photos were shared 15,000 times, and was featured on several national news programs since they were posted on Sunday. Kapong pang later explained that she felt sorry for the stall vendor as this was an inevitable situation. Usually, there are no cockroaches, centipedes, or rats roaming around. This was that one time due to the heavy rain in the city. 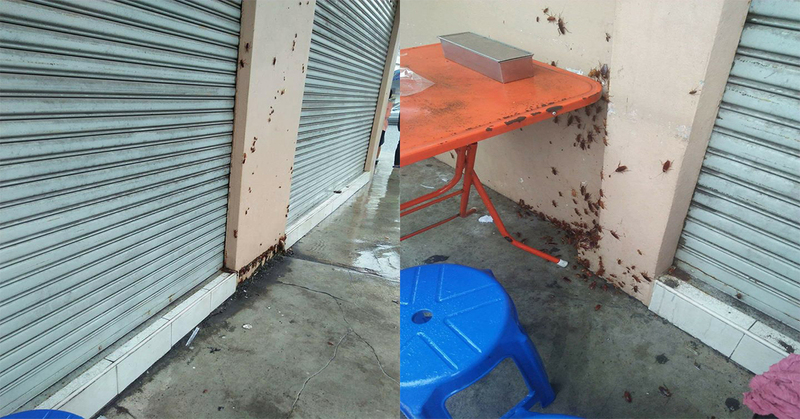 Would you still continue eating if you encounter this apocalyptic army of cockroaches?